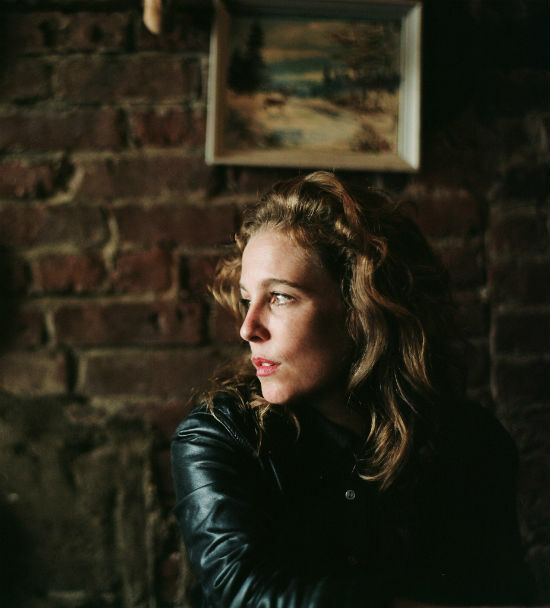 We asked Grammy-nominee, Americana Award winner and radio show host Tift Merritt about her Yep Roc debut Traveling Alone (which features guests Andrew Bird, Marc Ribot, and her “dream cast” of players), the art of songwriting and more. The usual suspects of singer-songwriters. Dylan, Joni Mitchell, Dan Penn, Tom Waits. Lucinda Williams. Carole King. But also other kinds of artists whose work sings – like Eudora Welty or Robert Frank, or Cormac McCarthy or Cy Twombly. People making their own way. I appreciate a sharp point of view and a sense of place and purpose. I would absolutely never, ever tell you about the first song I ever wrote and I have expunged that memory from my mind because though I am sure it was full of raw intention, it was, I’m also sure, absolutely horrible. I start little songs all the time. The last batch I finished was for the new record and none of them made the cut. Is it easier or harder to write songs, the more you write? The repetitive motion of having your tools in your hands always makes you write more and write better. The quality of that attention makes all the difference. Lyrics need to say something strong and real and of substance. Worth the time to listen. What percentage of songs that you start do you finish? I don’t ever like to play the numbers with my work. Once they go at all beyond the hint of an idea, when they get any motion at all, I do try to finish them. But sometimes you already know it is a moot point, something forced or just an exercise. I tend to look at the songs that withered on the vine as a necessary part of how one gets a bird in hand. Something that makes me feel or see something in a new way. Something beautiful, something painful, something I can’t find the bottom of. Something of depth – be it conviction or uncertainty. What’s a song on Traveling Alone you’re particularly proud of and why? I’m always glad when a song adds up to that feeling of ‘that is really what I was trying to put my finger on’, and has a little room for mystery left beyond that too. I am really proud of “Feeling of Beauty” and “Traveling Alone.” I wrote “Too Soon To Go” for my father so that means especially much to me too. What’s a lyric or verse on the album you’re a fan of? It is completely against the laws of my southern upbringing to say something nice about myself that way. Suffice to say, I thought about them all in depth. I tend to avoid anything more than a three-syllable word in a song. I admire when someone else can do it, but it feels labored and pretentious to me in my own work. I wouldn’t say that it elicits hate. But what I do love is very plain spoken poetry that sounds like someone could have said it on the street without thinking. Ha. That is funny. I would say that what mostly would annoy me about songwriting sometimes is myself as the writer. Maybe trying not to wake the neighbors late at night. Or maybe settling for writing a song that is clever or cute. That is truly annoying. I dabble, I think out loud in the mornings at my computer, but I don’t have time at this point to cull that into something that I’d call Writing. The bringing it to life and shape that comes from revision – that energy goes to music. If you could co-write with anyone living or dead, who would it be, and why? I generally don’t like to co-write. But I would want to sit with Robert Johnson and George Harrison, watch them play guitar. Or with Ray Charles playing piano. I’d like to spend the afternoon tagging along with Dylan or Tom Waits. Just to hear what passed through their minds. I have a Bobby Charles fixation. His writing is effortless and plainspoken. So much sense of place in the sound. The feel is thick as honey. I also love Neil Halstead’s record Oh! Mighty Engine. I don’t really like the word perfect or striving for perfection. What makes things truly great is that feel. A song that makes you feel down further than you remembered you could is really what it’s all about. But in an effortless sort of slipped off the tongue way. “Jackson” by Lucinda Williams is like that. Astral Weeks as a whole record feels like that. “Do Right Woman” is pretty perfect. So is “Dark End of the Street’. ” “Crazy” is pretty perfect. Those songs that are classic in form and classic for a reason. There are so many great songs. And then there are those songs that ingest form and make it something new. Like “Most of The Time” I could listen to that song 100 times and never find the bottom of it.